In order to capture the attention of your students, sometimes you have to resort to shock value tactics! This is sometimes necessary to do when teaching about really important topics that affect, not only themselves, but others too. Smoking during pregnancy would be one of those topics. This lesson takes approximately one period to teach (maybe a little more if you don’t give homework), but leaves students with a lasting impression of how this unhealthy habit can leave life long effects on their unborn child. First, I ask my students the following prompt: Can a pregnant mother be her baby’s own worst enemy? Explain how and/or why. Then, I show them this YouTube clip titled Baby Love which really emphasizes that a pregnant mother can sometimes be her baby’s own worst enemy, especially if they smoke during their pregnancy. The below activities were shared by Sharon Allen, from New Albany High School in Indiana. After watching the above YouTube clip have students turn to the neighbor and make a list of three common sense reasons why a pregnant woman should not smoke. Ask groups to share their reasons with the whole class. 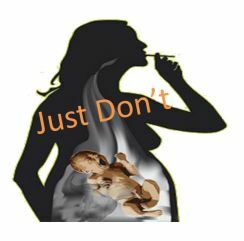 Watch the DVD “Stop Smoking Now” from the “I am Your Child” series and make a list of ten points, from the DVD, explaining why smoking harms an unborn baby. Again, share ideas among the class. To further emphasize the effects show students the new study done with ultra sound images, illustrating the effects of smoking on an unborn child to the class found here. Finally, to assess students learning and understanding, have them draw and complete the “Shaping Up Framework” for a grade.